GUYANA: A century from Shimron Hetmyer and a fantastic final over from Jason Holder sealed the Windies’ thrilling three-run win that drew them level 1-1 in the one-day internationals against Bangladesh. 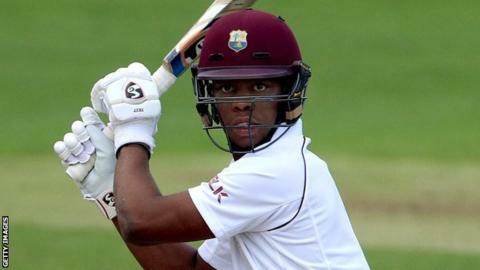 Hetmyer’s second ODI hundred propped up the Windies total of 271 at Guyana late on Wednesday. Fifties from Tamim Iqbal, Shakib Al Hasan and Mushfiqur Rahim meant Bangladesh were on course, until defending eight in the final over, when Holder stayed calm. With dew making the ball difficult to grip, Holder conceded 13 in his penultimate over, the 48th of the Bangladesh innings. But young Keemo Paul took a wicket in his last ball of the 49th, and Holder returned to have Rahim, the set batsman, caught off a full toss. He then gave away just four runs in his next five balls to complete a dramatic victory. Bangladesh had raced off the blocks, with Anamul Haque’s blistering 23 off nine balls dominating the opening stand of 32. Once he was done in by a slower delivery from Alzarri Joseph in the third over, the pair of Iqbal and Hasan kept it going, bringing up the team 100 in the 15th over. The Windies had little to celebrate till the 25th, when they finally succeeded in breaking the second-wicket stand at 97. 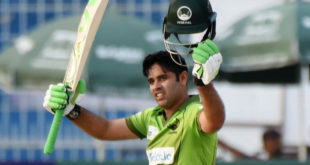 Iqbal, who made a hundred in the first ODI, danced down the wicket to Devendra Bishoo, missed, and was stumped for 54. Hasan earned a reprieve when an lbw decision off Bishoo was reversed, but couldn’t capitalise, caught by Keemo Paul off Ashley Nurse for 56.